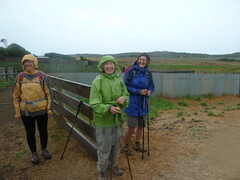 If you would like more information about walking the Ignatian Camino, please contact Helen Lucas. 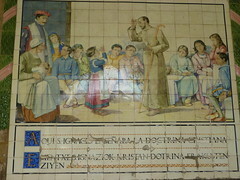 Would love to walk The Ignatian Camino in 2014 with a group, I live in Melbourne and wonder if you can let me know if this walk is going to take place. Many thanks, Aine Elizabeth Reid. We plan to offer the Ignatian Camino in May 2014. We will keep you in mind when the advertising brochure is produced and email it to you. 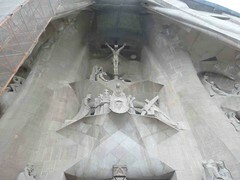 Hi Michael, I am already travelling to Spain from approx 17 April till mid May. 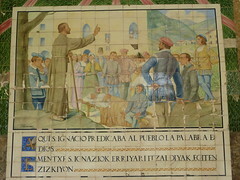 Whilst a guided Ignatian pilgrimage would be ideal, is it possible to link up and / or cover parts of the Ignatian Camino with another tour group which understands the Ignatian Camino? I thoroughly enjoyed the blogs from last year’s trip. Thanks for your email. Unfortunately I know know of any other tour group which understands the Ignatian Camino and/or is operating at that time of the year 17 April to mid-May. In 2004 and 2013 I walked the Camino de Santiago and as it has become so crowded in recent years I have been looking into other pilgrimage roads through Europe for future peregrination. Only recently I’ve became aware of The Ignatian Way and the life of St Ignatius of Loyola. In 2008 / 09 I made a 9000 km bicycle pilgrimage from Singapore to Cape Finisterre, via India and pre civil war Syria and southern Europe, which pretty much set me on the life journey! Since then I have been actively working on the proposed Camino Australia: MacKillop Woods Way with a colleague Luke Mills who shares the same interest and passion for such a pilgrimage road in Australia. 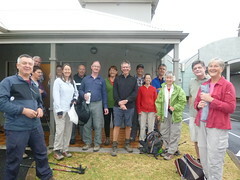 In April 2014 we will be walking in a group from Portland to Penola following the historical foot steps of Mary MacKillop and Julian Tenison Woods. Since my 2008 / 09 pilgrimage it has been in my interest to make another long pilgrimage journey from either Santiago to Jerusalem, via Rome and on foot. Most likely to be done in three stages. Now with the Ignatian Camino it could possibly be a motivator for me to take a long journey once more. 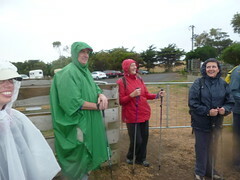 Details of my own pilgrimages and the Camino Australia: MacKillop Woods Way can be found on my web site. Thank you for your comment. Developing a “Camino Australia: MacKillop Woods Way” is a wonderful idea and I would happily support it in any way that I can. 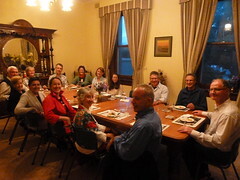 I am the Director of Campion Centre of Ignatian Spirituality in Melbourne and, if it would help you and Luke, we could advertise this new pilgrimage in our 2015 booklet and on our web site (see: http://www.campion.asn.au) and direct people to your site. I will also include a link on my blog to yours. I will be attending a conference in Manresa on November 2nd and would love to do the camino leading up to the conference. Can the walk be done alone or is a guide necessary? My preference would certainly be to walk alone as Ignatius did. Any help would be appreciated. Yes, if you are fit enough, you could certainly walk the Ignatian Camino on your own. It is physically demanding. My recommendation would be be that you contact Fr Josep Lluis Iriberri SJ and get advice from him. Gostaria de saber da programação de 2019. Quando haverá as caminhadas ? Hi Denise. Apologies for taking so long to reply. The proposed dates for our Caminos in 2019 are: 1. May 13-29; 2. September 12 – October 11. Dear Helen, I would like to know of your planned tours for 2019. Its Michael Bertie here. I’m responsible for moderating the comments on the web site and will pass your query on to Helen. A friend and I are interested in registering for the Camino Ignaciano in the Fall of 2019. Please forward the registration materials. If not included in the registration materials, please let me know your cancellation policy. September seems so FAR away. I have elderly parents and their condition may require a change of plans. Thanks so much. I am very excited by this opportunity. Both Barb and I completed the Camino Frances from SJPP in the spring of 2017. Thank you for you inquiry regarding the September 2019 Ignatian Camino. I have attached the brochure plus the brochure for the shorter May 2019 camino. It is a wonderful pilgrimage. My wife and I, with Michael Smith SJ, walked the Ignatian Camino in September 2013. 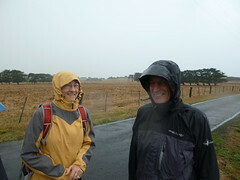 My wife and I then returned in May last year and walked the 16 day camino with Josep Iriberri SJ as our guide. 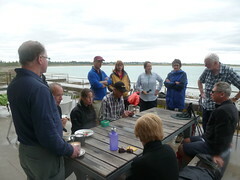 Fr Josep, Director of the Pilgrims Office of the Camino Ignaciano, leads the May and September caminos.